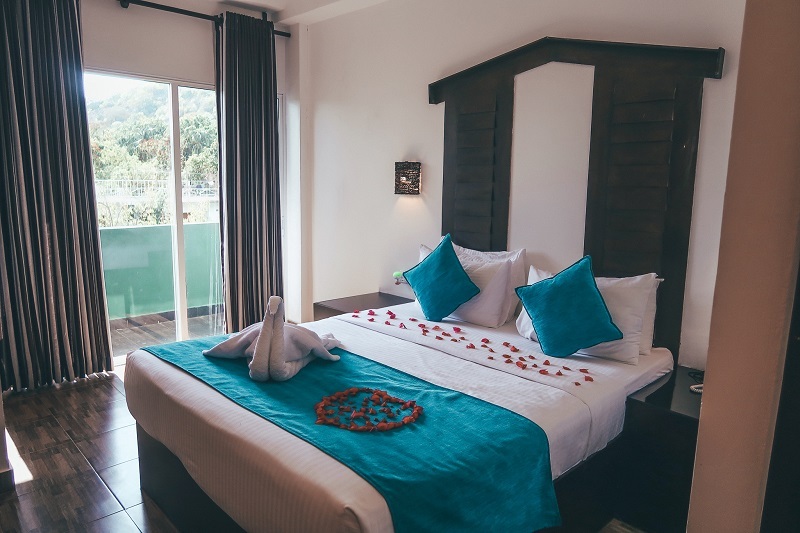 If you find yourself in the cultural delight that is Dambulla, then we've found your perfect hotel stay. 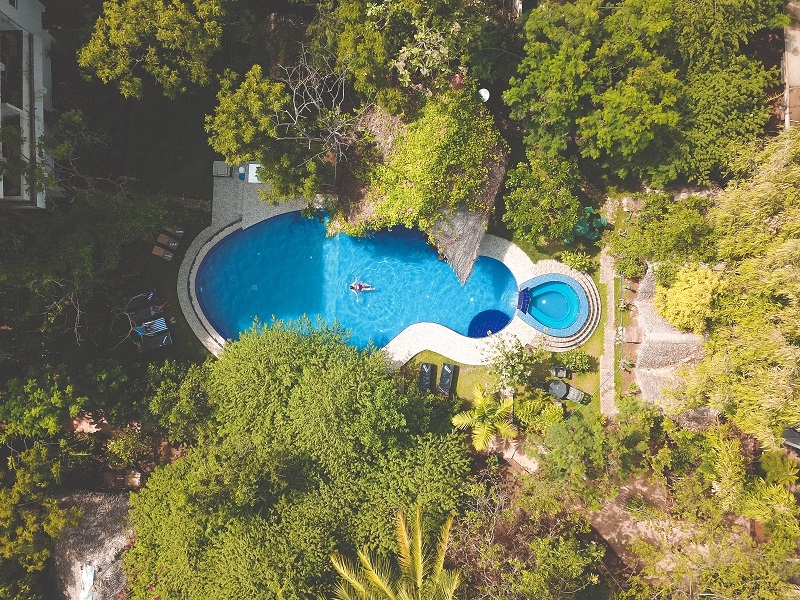 Experience a stay at the Sunduras Resort below.. 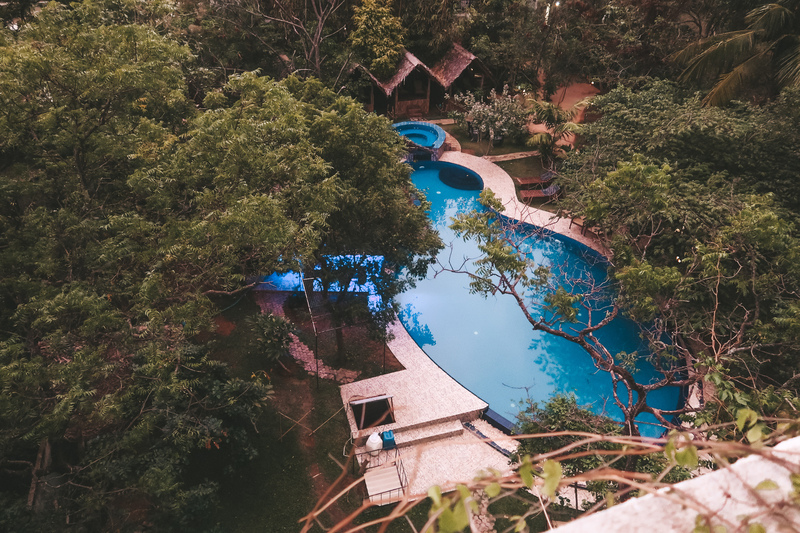 If you’re in search of a wonderful place to base yourself to see the sights that Dambulla has to offer, then I think I’ve found the perfect location. A short walk from the Dambulla cave temple and the great golden Buddha in the distance lies the Sundaras hotel. 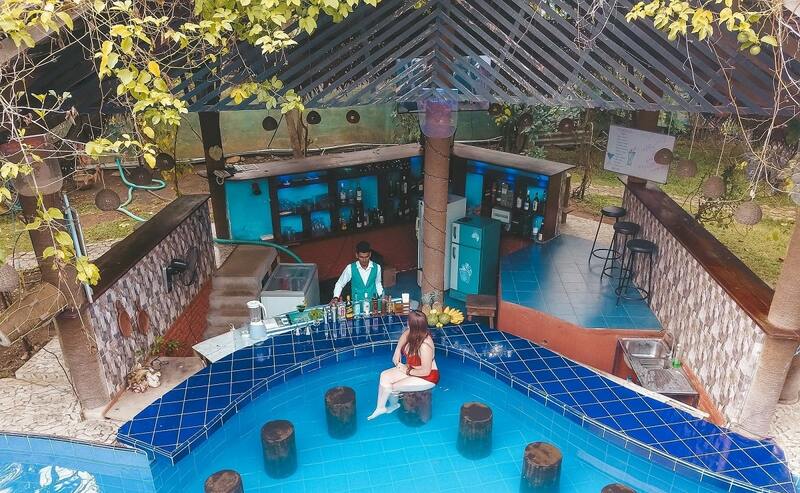 This Sundaras Resort & Spa is a 3-star hotel which offers a relaxing base to explore the area and relax. Below I take you through what a stay here looks like. Check-in was a wonderful affair, we were greeted with smiles, and a delicious welcome drink in the form of a smoothie. Our bags were taken from us and carried up to the room for us (a lovely touch). We were then shown our room which was located on the top floor. 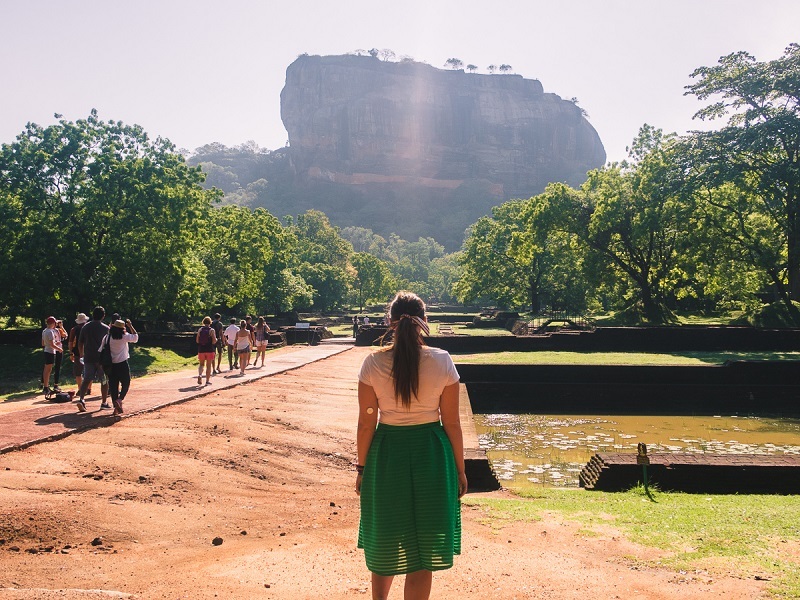 It’s known as the mini Sigiriya, due to the steps, so it’s good practice for visiting there and the steps to the Cave temple! Of course, with everything high up, you are graced the beautiful views, and the views from our room were no different. We had a “pool view”, which gave us beautiful views of the pool and its surroundings and of the mountains that surround. You can even see the golden Buddha from your room. The shower was a good size for two people, and you are offered towels and complimentary toiletries. There is a TV, good aircon, and tea/coffee making facilities within the room. The pool is the shining star of the Sundaras Resort and Spa. The pool is large enough to swim, clean and a lovely temperature to refresh from the hot sun. There is even a jacuzzi style hot tub at the top of the pool (although it’s cold water-- which you need!). It’s the perfect spot to relax. The pool is surrounded by sunbeds with beach towels for your convenience, AND, to top it all of, the pool has a pool bar, with seats located in the water. 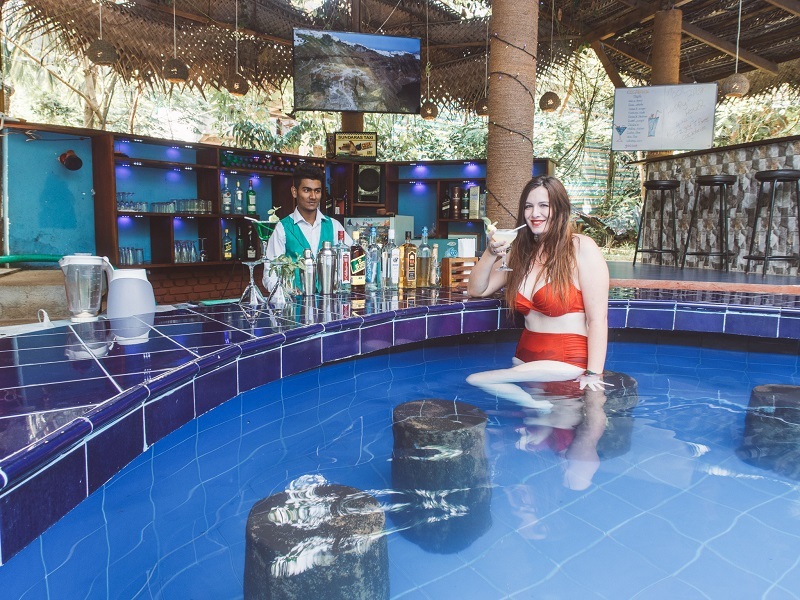 This is a fabulous idea, and great fun to enjoy sitting in the water, with the sunshine hitting your back whilst sipping on one of the fabulous cocktails on offer. There are even little beach huts that surround the pool too. These are perfect if you want to relax outside and have a space to leave your stuff, without being direct in the sun. Also, they're big enough for groups of friends to chill together. A great spot to read a book or use your laptop outside. Don’t forget to try happy hour which means when you buy two cocktails, you get a third free. The cocktails are very reasonable prices, and the happy hour makes the cocktails a great deal! 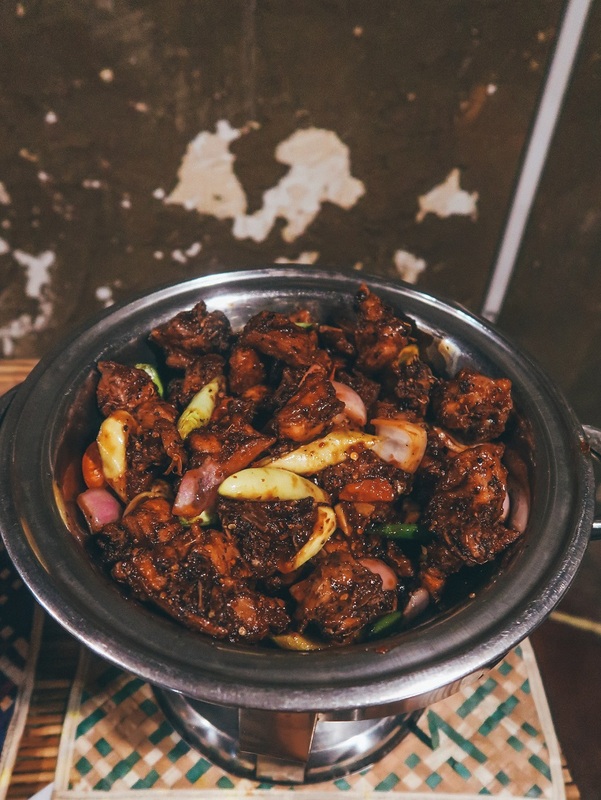 It’s the perfect way to start your evening….because you are in for a delicious feast of food..keep reading! The food options at the Sundaras Resort are plentiful. You have an option of an Al La Carte menu serving local and western style food (For those who are a little fussy), there is a snack menu available for room service that includes chips, burgers etc. 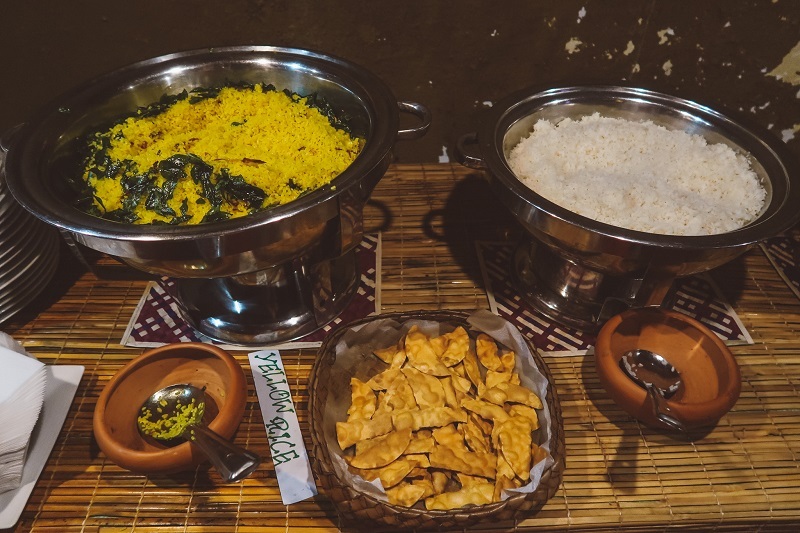 Then, there is the dinner buffet that serves up a feast of delightful local delights. Our meal consisted of a fantastic pumpkin soup, various range of delicious curry's (different spice levels available), devilled chicken, noodles, rice, salad bar, sides, and much more. Then comes the dessert with a choice of two or three to end the perfect meal. There is so much choice and the flavours you are offered are fantastic. I warn you, it is a little spicy, but you are in Sri Lanka after all! You can opt for cocktails with dinner, soft drinks, tea, coffee or a lovely glass of wine. 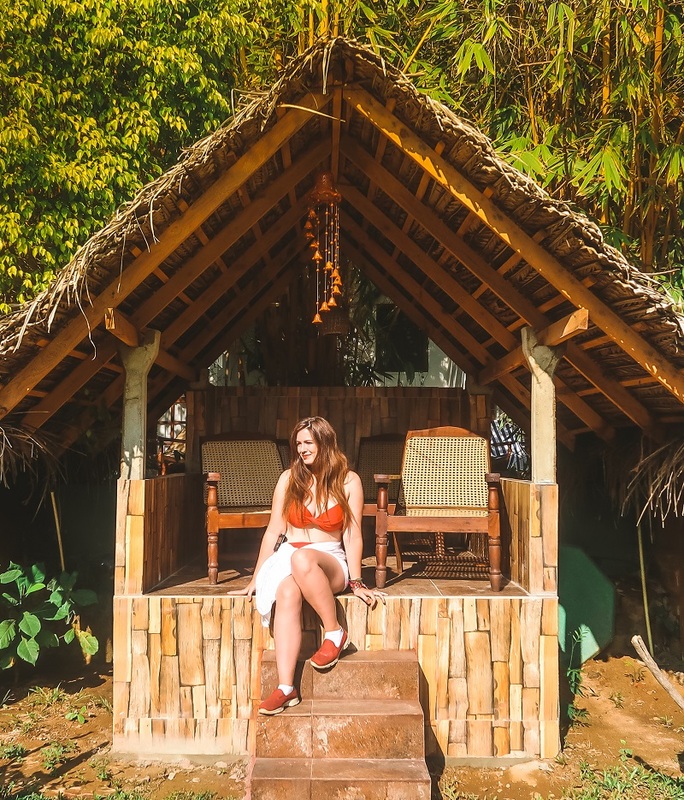 We didn’t use the Spa, but there were a variety of services on offer, and I believe there is often a discount inside each of the rooms that you can use towards the Spa. I would definitely treat myself to a spa treatment if I was staying longer. You will always feel welcome at this resort as the staff are super friendly and want to get to know you. Whatever you need, they will do their best to help. The hotel can also arrange transport and guides to other sites and activities around the area (some of which are listed below). 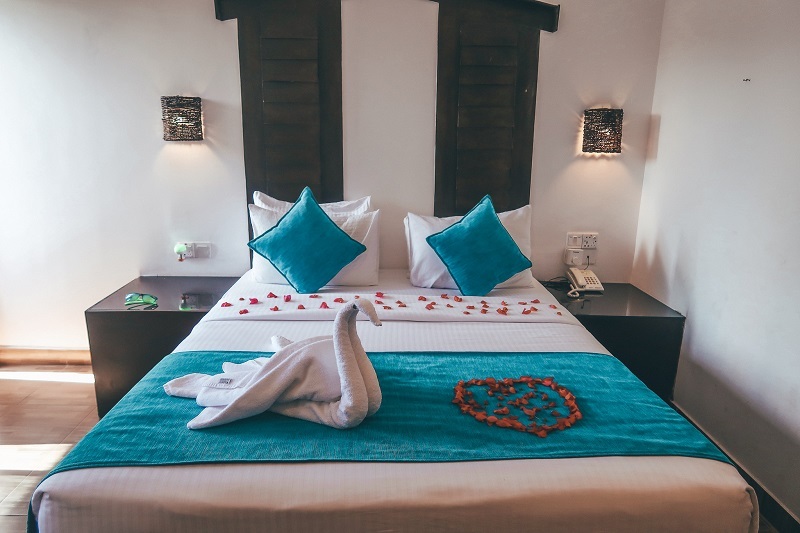 There is lots to see in Dambulla, and it's the perfect base to visit Sigiyria and visit Lion Rock, or even partake in a safari to spots some wild elephants at Minneriya National Park. 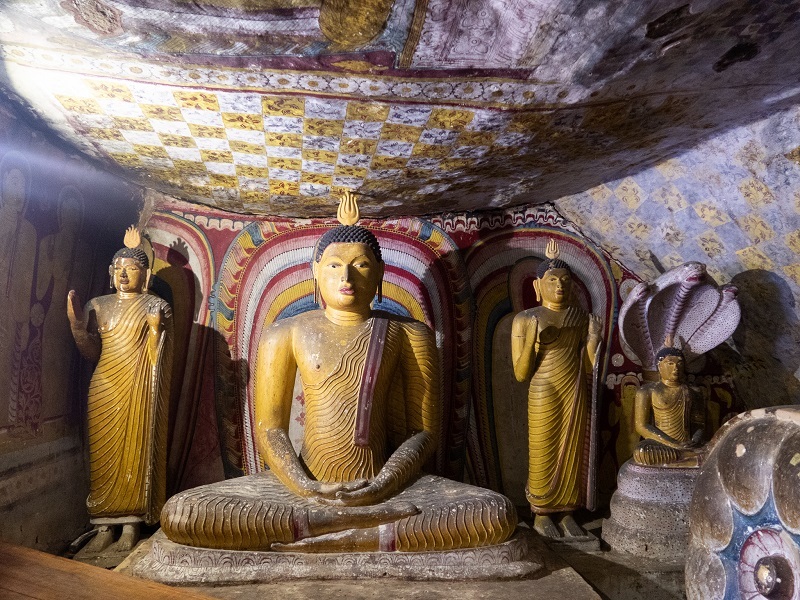 In Dambulla itself you have the fantastic cave temple. This is a temple that's been built into the caves and inside each cave there are Buddha statues and fantastic artwork on the walls and ceilings of the caves. You need to climb quite a few stairs to get to the top, but you're greeted with brilliant views on the way. Whilst in Dambulla, you should also visit the biggest market in Sri Lanka. The fruit and vegetable market in the centre is the hub of Sri Lankan produce. Each day people from all over Sri Lanka come here to collect their produce and take it back to were it needs to be. It's very busy and open 24 hours! We think this is a great hotel for couples, like ourselves and for young backpackers. It's got a young, down to earth vibe and it offers a lot of amazing facilities for the young soul. It is also brilliant value for money, both for the hotel stay and for the food and drinks within the resort too. You can book your stay here.